Interior of Sanjusangendo, a Buddhist temple in Higashiyama, Kyoto. The name literally means Hall with thirty three spaces between columns. 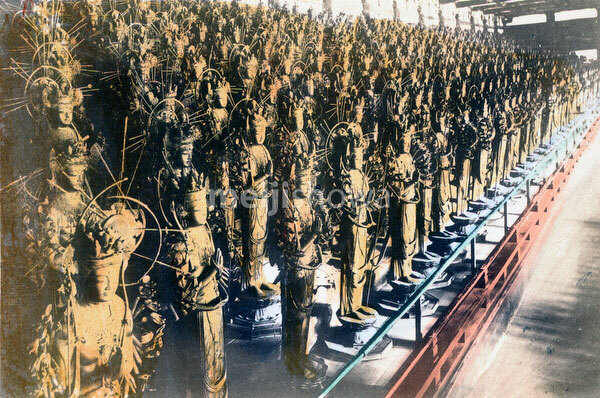 The main deity is the Thousand Armed Kannon. One thousand life-size statues stand on both the right and left sides of the main statue.